Stir up some sticky slime, build a Solar System with rubber bands, power a speed boat using soap, and construct an erupting volcano, all with Home Lab, exciting experiments for budding scientists. 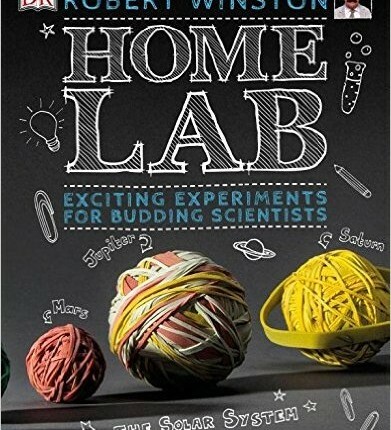 Including a foreword by Professor Robert Winston, Home Lab is packed with 28 brilliant projects, using clear step-by-step instructions, everyday ingredients that can be found around the house and amazing photography to guide you from start to finish. Plus fact-filled panels explain the science behind every experiment, as well as real-world examples providing a context to better understand scientific principles. Perfect for budding scientists and crafters, Home Lab will keep children entertained for hours.